After 10 years as a presenter on Metro FM presenter Unathi Msengana announced her departure from the station in a shock Instagram post this morning. "Well that was my LAST SHOW on Metro," read the post, which caught everyone off guard. Unathi's departure comes little more than a week after her First Avenue co-host Glen Lewis, who's been with the station for over two decades, announced his resignation. But that's not the end for the popular radio slot on Metro. 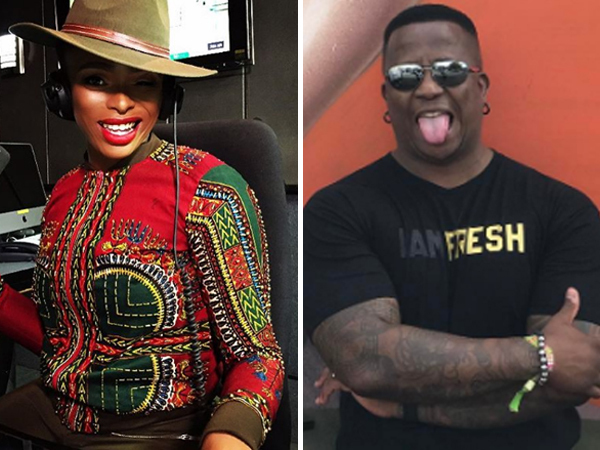 On Friday afternoon it emerged that 5FM veteran DJ Fresh is going to be taking the helm -- or the headphones? -- at the station. Fresh's resignation also shocked fans -- he's also been at the station for more than a decade. "I'm so excited. That kind of 'literally, pee yourself' excited. There is zero fear," Fresh told TimesLive. It's not yet clear who'll take over Fresh's early morning slot on 5. I'm a 45 year old man looking to meet women between the ages of 34 and 44. I'm a 54 year old woman looking to meet men between the ages of 45 and 55.